Expert Music Instruction for Kids and Adults! Student Spotlight! The kids featured below came to our studio without drums at home and with no previous experience. How do like them NOW? 8 yr old Harris ain't afraid of NO ghosts! Watch him play the Ghostbusters movie soundtrack. Party Rock Anthem Everybody's Shuffling! 9 yr old Drew finds 200 new fans at the Dripping Springs School Talent Show and...he WINS! 10 yr old Shaan plays the classic 60's hit Wipeout by the Safaris WOW...he's fast! 10 yr old Alex pays tribute to the great Neil Peart with Limelight by RUSH AMAZING! 10 year old Darius PLAYS & DANCES to make you happy with Let's Go by Calvin Harris! Go D! 13 yr old Nette PLAYS & SINGS Perfect by Pink at our Drumset Boot Camp! Isn't she DARLING? 21 yr old Alyssa PLAYS & SINGS Tighten Up by the Black Keys Awesome job Alyssa! 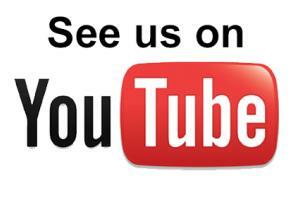 Click to visit our YouTube Drum Channel! Learn basic rock beats, read and practice music notation, song arrangements, and play to music in as little as one week with our Rock Music Boot Camp or School Band Percussion Camp for Drums! learn valuable tips & techniques needed to excel in school band classes and tryouts! Now offering LIVE interactive lessons via FACETIME and SKYPE! Live too far to come to lessons? Let us come to you! All you need is a computer with high speed Internet and webcam or an iPad (or other tablet or mobile device). Drum Camp and Lesson gift certificates are now available. Our USA Music Education Endorser! Our Partners in Texas Music Education!